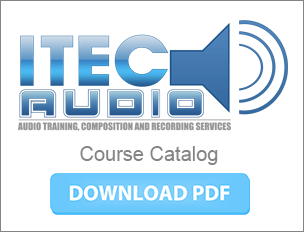 The PT210P Pro Tools Production II (Post Production) course covers techniques for working with Pro Tools in a professional post production environment. Concepts and skills learnt in the Pro Tools Fundamentals I (PT101), Pro Tools Fundamentals II (PT110) and Pro Tools Production I (PT201) courses are reinforced with practical post-specific examples. This course prepares candidates for the Avid Certified Operator: Pro Tools | Post certification exam. Candidates wishing to take this certification exam must have firstly passed the Avid Certified User: Pro Tools certification exam. This course is designed for end-users with intermediate Pro Tools skills with an interest in learning how to use Pro Tools | HD systems in a professional post production environment.